Charm and conviviality are our standards. Romantic “Charm” room (33m²) with four-poster bed (1.60m), bathroom with bath / shower, washbasin and separate toilet with hand wash. Spacious, romantic room (37m²) with double bed (1.60m), bathroom with shower, washbasin and toilet. 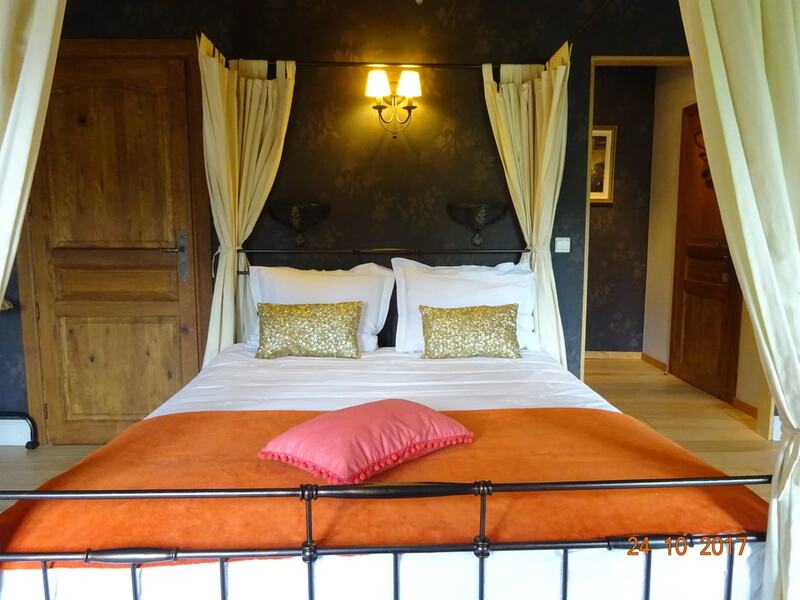 Spacious, romantic room (34m²) with 2 single beds (90cm), bathroom with shower and washbasin and separate toilet. Authentic room (28m²) with boxspring double bed (1.60m), bathroom with shower, sink and toilet. (*) A surcharge of 5€ will be applied for a one-night stay. In May, June, July and August, we prefer a minimum stay of 2 nights, also during weekends at Easter, May 1, Ascension, Pentecost, November 1st, Christmas, etc. (all extended weekends and holidays).